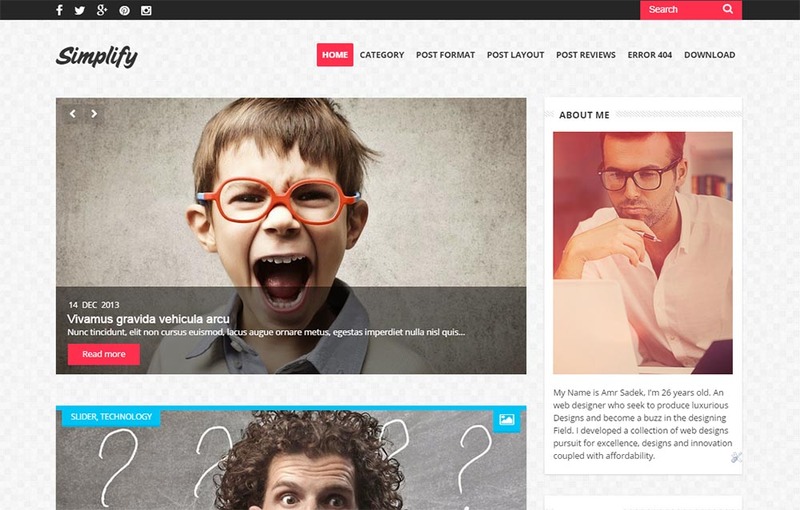 Simplify is a beautiful Responsive free Blogger Template which brings simple & clean design. It’s ideal for blogging. It’s very flexible, fully customizable and powered with Option Framework. You will love the smooth and fast user experience. This theme perfect forSearch Engine Optimization, Plus personal blog, Magazine, Reviews and News Blog. Its Support multi author options via google plus.